Sonderborghus is one of the main music venues in Sonderborg, hosting a variety of well-known and lesser known Danish and international acts. We have, in fact, already mentioned them on our 99 things to do list for both jazz and rock. However, Sonderborghus offers more than just music, as I came to discover on a ‘girls night out’ with colleagues recently. What had been a hidden secret to me until very recently is the workshops in the basement of Sonderborghus. 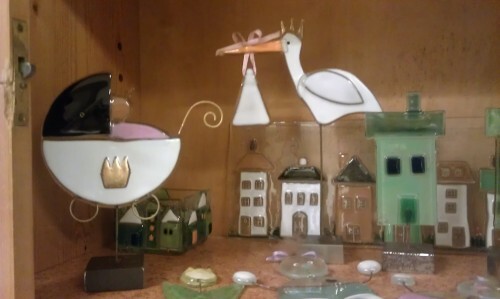 There you can get your hands dirty with some glass work (above), pottery or even multi-material creative projects. The amazing thing is that, besides the regular courses on offer, you can also just go down on your own and work at your own pace on your own projects, while getting access to the materials you need for a minor outlay, as well as cheerful guidance from the staff. 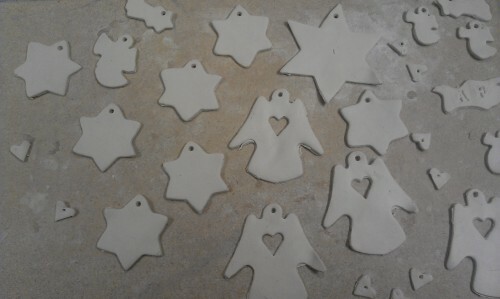 This being before Christmas the plan of action was to populate our Christmas tree by making porcelain decorations. This is the first time Michael and I will have a Christmas tree at home which means that I had loads of work to do. 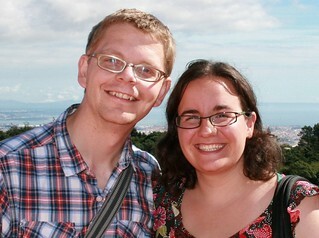 With the guidance of two of my colleagues, who had already been on courses there, it was more than easy to do. 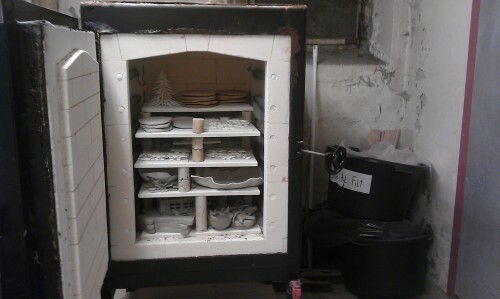 We could buy the porcelain clay there (50DKK/1kg: this covered all costs, including firing of the porcelain in the kiln, shown below), we had access to a variety of shapes for making decorations, and we also had access to all the tools we needed to make our decorations. In total I used around 500g of porcelain (25 DKK) and made around 50 different items for our Christmas tree, some of which you can see below. Needless to say, our Christmas tree is well populated now! It is good to note that the items are not typically fired on the same day, but we were asked to go pick them up around one week later. So do keep this in mind if you want the items for a specific event. Other than that, the workshops is open on Tuesday and Wednesday 10-22, Thursday 13-18 and Friday 10-15. Do confirm opening hours at the Sonderborghus website, since these may change, or other events may be going on. Other than that – go ahead and enjoy yourselves. Perfect for a family outing or evening out with friends. This entry was posted in Things To Do and Sights and tagged art, christmas, colleagues, creativity, decorations, glass, music, porcelain, sonderborghus by Ann. Bookmark the permalink.